Without an officially recognized address, how can people access services like water and sanitation from government? That's the question that brought Kyle Wiebe ('14) to Nairobi, Kenya this past year, where he has been working with UN-Habitat, a United Nations programme that aims to promote socially and environmentally sustainable human settlements development and the achievement of adequate shelter for all. 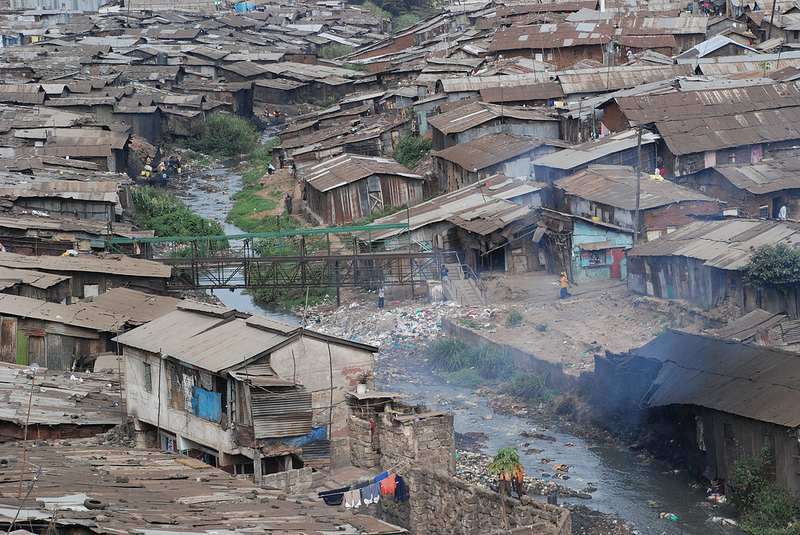 Wiebe is a consultant on a project to provide addresses to informal settlements like Mathare, a slum community in Nairobi with a population of approximately 500,000 people. "The thrust of it is that there are four billion people who are not well addressed or who are unaddressed entirely," says Wiebe, who is completing a master's degree in urban planning from McGill University in Montreal. "We want to know if 'addressing the unaddressed' will address the gaps in basic needs in these informal communities." Wiebe says he has enjoying being on the forefront of the development agenda. "It's a creative approach to development at a foundational level," he says. "It's taking a complex issue and targeting the most important questions, like why is water and sanitation inadequate and how can it improve." This isn't the first time Wiebe's studies have taken him abroad. While studying at MSC, he fulfilled his practicum requirement working with Dr. Kirit Patel, Assistant Professor of IDS, on a SSHRC-funded project promoting traditional grains in India. The project worked with street food vendors to assess whether vendors could incorporate these grains in their work, and what consumer preferences were. "We learned that these vendors were the ones providing the poor with food, but they were being ignored from public policy," Wiebe says. "That what got me interested in urban planning issues." Wiebe adds that studying at MSC prepared him for the research he's doing now. He recalls the challenging research courses he was allowed to take as an undergraduate student, and intense class discussions. "The opportunity to put my voice out there and be challenged in class gave me confidence discussing issues in the field with colleagues," Wiebe says. Most significantly, he points to the willingness of professors like Patel to include him in research projects, and the opportunity to learn by doing in practicum. "It is undoubtedly why I'm where I am today." Learn more about practicum opportunities with MSC.